The market has validated the concepts behind progressive web apps and even though native hacks will always be ahead, the web always gets there. Now is an incredibly exciting time to be building on the web. I remember first hearing about PhoneGap through excitement over Twitter in 2009. The first jsconf.us had just run, but I hadn't attended (at the time, the distance and costs were too much). One thing was for certain: PhoneGap, team Nitobe with front man, Brian LeRoux, had cracked something hugely important: deploying webapps inside of a native shell with native access. 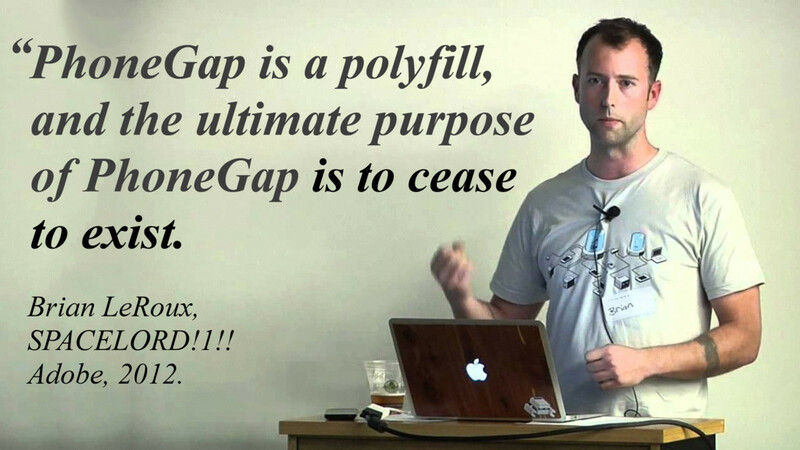 That bears repeating: [the] purpose of PhoneGap is to cease to exist. Now, obviously this is not in Adobe's interest, given their purchase back in 2011. However, it is PhoneGap’s philosophy: to create software that helps developers to get to where they need to get to whilst we wait for the technology to catch up. There are many many more interesting and exciting APIs in browsers today, including navigator.sendBeacon() (for analytics after your tab is closed), Streams, Bluetooth, and Physical Web. The web is different, in that if the browser fully supports a class of APIs, then the support across devices is the same (mostly, hardware oddities aside!). A key feature of browsers is to support interoperability. It's a relatively simple equation–site looks amazing in browser X, browser Y should want to provide the same experience to pull the users across. Over the years since 2009, the web's native support for APIs that PhoneGap provided has improved dramatically. The ecosystem is very different from the day that PhoneGap was needed. Even getting the hint of interest from Apple is a process of dumper-diving the mailing lists scanning for the smallest hint of interest. Apple also won't allow any other browsers into their platform as such, and this really annoys me, so Chrome is just a wrapped view on WebKitView (the Safari render engine). So all the new technology that lands in Chrome or Firefox does not land in iOS. iPhone users have to wait for Apple and Safari to get involved. Equally, Apple—just like Mozilla, Chrome, Opera, Microsoft—is a company. They can behave as they please. They do not necessarily have to answer to our call. This secrecy is how they operate (for better or worse). The upshot, however, is that technology like Service Workers and push notifications are already implemented in Chrome, Opera, and Firefox, and there are positive signals coming from Microsoft (via active development and their dev status pages)—so that just leaves Safari. If web developers start making amazing web apps that use these technologies, Apple will want to serve the developer demand. Discoverability (of the app) was also a question that came up a few times. 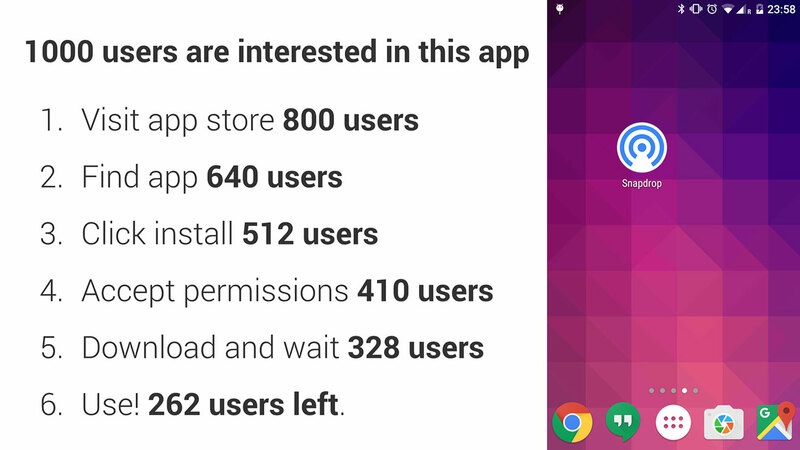 In particular, citing that "users are used to app stores." I don't quite agree because app stores are a relatively new paradigm and it can be changed—it's not set in stone. The truth is that a lot of that has changed with respect to Web APIs, and, in fact, a lot of the core APIs available in hybrid app development come directly from the browser APIs, for applications such as social media, gaming, and the like. What a hybrid app frame does offer that web cannot (today), is a plugin system that allows the developer to bridge to native functionality that isn't available in a browser—like sending an SMS. Selio (a buy/sell/chat commerce app) moved to PWA for their site and saw an average of 6+ minutes spent in the app. More importantly, the user acquisition was up to 10 times cheaper than native apps. Putting a (CPA) cost of €3-5 for native apps, and €0.30-0.40 for PWA users. Obviously, it's not working because of good marketing, it's working because web technology is getting really solid backed by solid APIs. 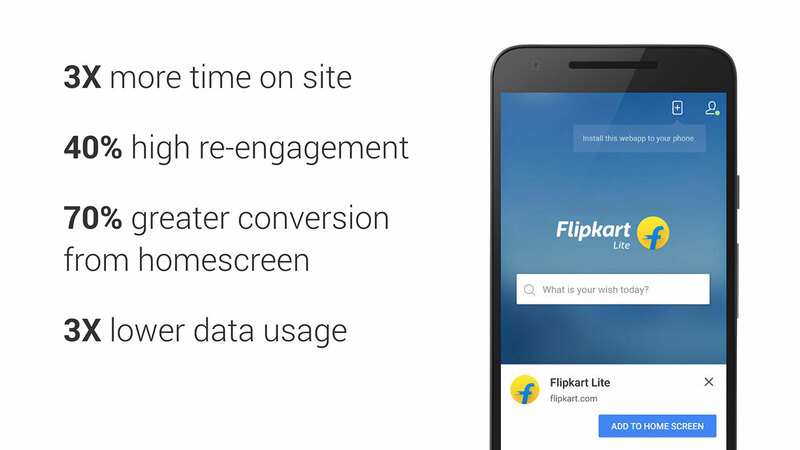 Importantly, the users will not be actively differentiating between progressive web apps and "native" apps. That means they must behave with the same level of performance. It's our jobs, as web developers, to change the mindset of our users. We want and them to say to themselves, If I add this app to my home screen, it will work when I open it. Without HTTPS and without service workers, you can't add to home screen. This is an intentionally high bar of entry with damn good reasons. Once an app is on the home screen, it has space in the highest valued real estate on the user's device. It's fast to access so it's our jobs to instill trust into our users over and over. 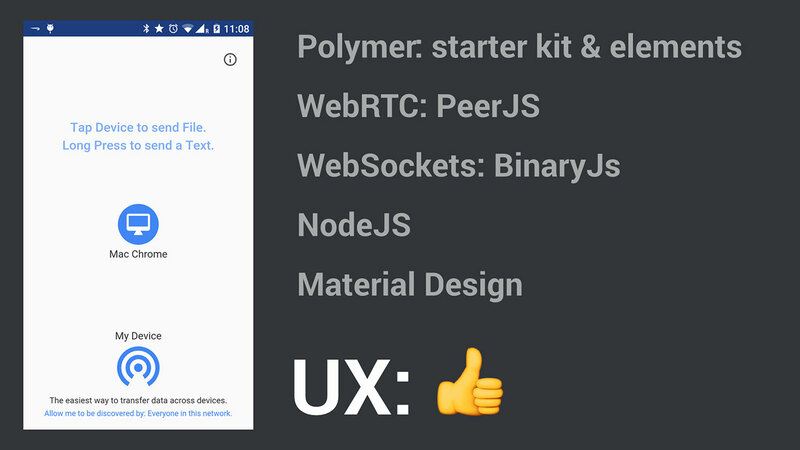 With time, and persistence, users (us, included) will come to expect PWAs to work. If it's on my home screen, it'll work. The same way as any good native app might work today. In this push notification demo, what's important to notice here is that I didn't install the app to my phone. The tab and browser were completed closed. I simply accepted push notifications from the website, and the notification still arrives. It's a little hard to see from the small animated gif (sorry about that), but after I close the browser, a notification from Chrome comes in at the very top left of the screen. Over a conversation I was having with some developers, I explained how I was using the native Android Amazon app recently and tried to compare a product (that I wanted to buy). I quickly realized I couldn't switch back and forth the way I would normally with a tabbed browsing system. Someone else pointed out that they had uninstalled the native app, and exclusively use Amazon in the browser at the expense of not getting the delivery notifications. Ordinarily I would send myself a hangout message to my additional Google Plus account—which, now that I've written it down is bananas. I knew I just wanted a simple peer to peer file transfer app. I'd need this in the past, so I started to spelunk the Google Play store. The result was installing three separate apps all of which didn't quite do what I wanted. It either did way too much or didn't let me transfer the way I wanted (I even found an app that moved files from my laptop to my phone—the wrong way around!). Then, through twitter, I was notified about snapdrop.net. Right away I realized this was exactly what I needed—a peer to peer file transfer application. Not only was this a progressive web app, but I've also installed this app to my home screen and it did exactly what I needed. Perfect and simple. Irrespective of the fact it was entirely web technology. This app was a perfect example (for me) of a PWA in the wild. For now, though, there’s a lot of new and exciting prospects with the technology available right now. Do it right, make your users trust the web.